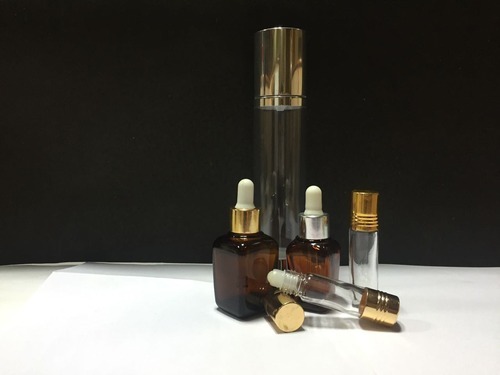 Our range of products include essential oil (6 bottle pack), essential oil (4 bottle pack), romantic blends, migraine roll on, bergamot oil and lavender oil. 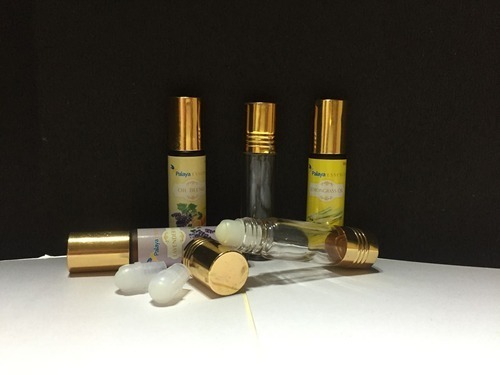 Our offered Natural Essential Oils (6 bottle Pack) is the freshest and purest essential oils. These are 100% pure and untouched by chemicals of any kind. Furthermore, these essential oils have powerful anti-inflammatory as well as disinfectant capabilities which treat insect attacks, skin blemishes, burns, skin disorders, infected cuts, skin bruises, lice and dandruff. It is considered antiviral. 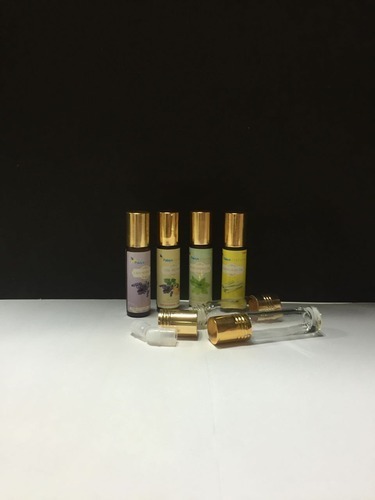 Our offered Natural Essential Oils (4 Bottle Pack) with the most common oils to help meet the challenges that we face as a result of living in today’s modern society. So if you have always wanted to try essential oils, try our Essential 4 kit that has been packed with four of the most popular oils used today. Romantic blends: Our romantic blends have warm and sweet aroma. They have a stimulating and pleasing effect. Our offered Migraine Roll On is helpful in relieving headache symptoms associated with sinus infections because they constrict the blood vessels that cause the pain. As this is all natural, one can rest assured that there are not side effects commonly found with medications. About: Bergamot oil is extracted from peel of Bergamot fruit. It is a citrus fruit between orange and lemon. Oil can be extracted through cold pressing or distillation. Colour and aroma: Light yellow-green in color with citrusy aroma. Stress relief: It combats fatigue due to stress, tension and anxiety. Skin purifying - Good for oily and acne prone skin. Healing - Bergamot oil’s topical application heals wounded skin and minor cuts faster. Especially beneficial for post-sore treatments. 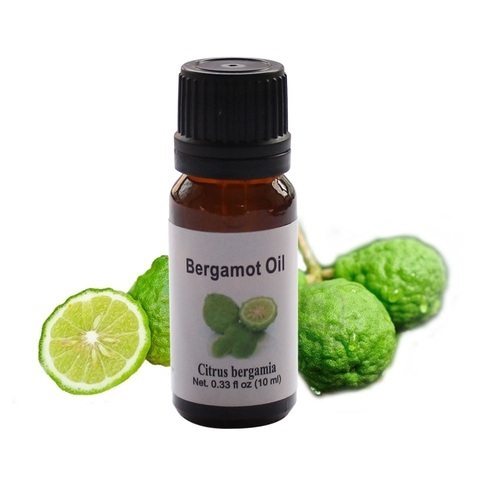 Fragrance: Bergamot oil’s smell works great as a citrus note in fragrances. Suggested Uses: It used as a natural mosquito repellent, insect-bite salve, deodorant, inhalant and relaxing massage oil. In foods, bergamot oil is used as a citrus flavoring agent, especially in gelatins and puddings.We offer different blends and mixtures according to customer requirements and specification. About: Lavender is one of the most popular essential oil, both for its aroma and therapeutic usage. It is extracted though steam distillation of flowers. Lavender oil works great as a tonic for nerves and anxiety issues. It can provide relief from headaches and stress. Pain relief: Lavender oil, when applied topically provides relief in pain. It eases sore muscles and helps in body aches. 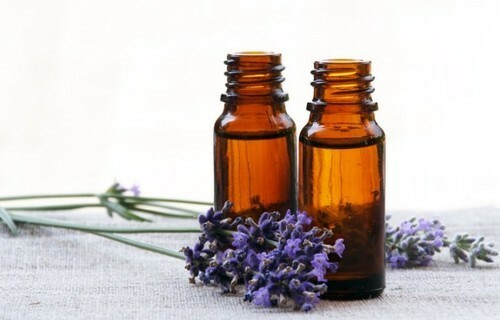 Skin issues: Lavender oils works as a disinfectant on skin as it is antiseptic and antifungal. It helps in treating acne. Lavender oil enhances blood circulation in body. It is very effective in treating respiratory problems. It can help in alleviating respiratory problems like throat infections, cough, asthma, whooping cough, sinus congestion, bronchitis etc. 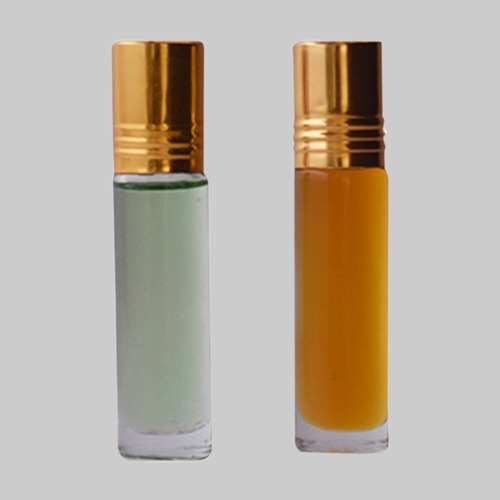 Suggested uses: It is widely used in perfume industry. Lavender oil helps in treating hair loss and also helps in getting rid of head lice. It works as excellent bug and mosquito repellent. We offer different blends and mixtures according to customer requirements and specification. 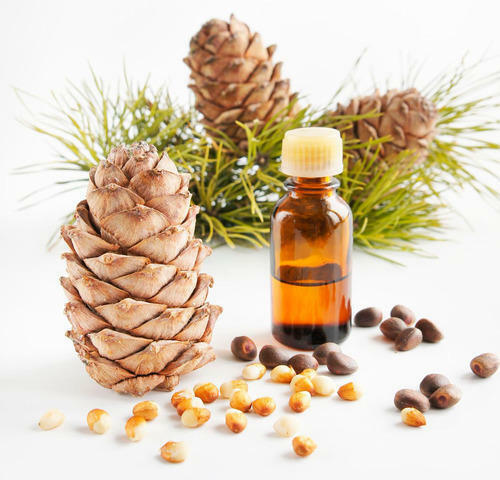 About: Cedarwood Essential Oil is extracted through steam distillation from the wood pieces of the Cedar Wood tree. Cedar trees are native to cold climates and usually found at high altitudes. Skin diseases: Cedarwood oil is topically applied to treat Acne. It helps in regularizing sebum production and treating inflammatory eczema. It can be used to treat dandruff, dermatitis and other skin conditions. Anti-inflammatory: It can be used to provide relief in arthritis. Anti-septic: Can be used in anti-septic creams or applied on wounds to protect them from infection. Provides relief in bronchitis and coughing. Helps in menstrual irregularity and problems. Regulates hormonal functions too. Warming and relaxing fragrance. Can be used a mild relaxant too. Suggested uses: It can be added to lotions and skin care products. It can be added in shampoo and conditioner for shinier-looking hair. About: Neroli oil is extracted through steam distillation of flowers of Bitter orange tree. It is a valued fragrance due to its commercial value in perfume industry. Color and aroma: Yellow or brown color with sweet and floral aroma. Stress relief - Neroli oil has calming and relaxing aroma, which can act as a tranquilizer. It provides relief in anxiety and stress related depression. It can work as a relaxant and relieve insomnia. It helps in controlling and maintaining blood pressure. Anti bacterial and disinfectant - It prevent skin from various microbial infections and toxins. 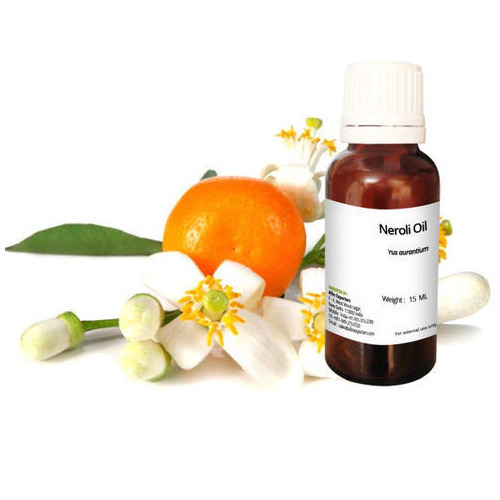 In emergencies, Neroli oil can be used after getting a cut if anti-tetanus injection is not available. Skin repair - Neroli oil helps in maintaining skin elasticity, reducing acne, healing broken capillaries and preventing stretch marks. It works great as anti-marks treatment and diminishes scars and spots. Suggested uses: It repairs and rejuvenates skin. It can be used on the body as a perfume or in rooms as room fresheners or vaporizers. About: Orange oil is extracted through cold pressing of orange fruit rinds. It is a common fruit and oil is also extensively used in aromatherapy. Orange oil provides great relief in anxiety and depression. It brings a sense of peace, balance and creativity. It is a natural sedative which helps to relax. It helps soothe tense muscles. Orange oil is significant in treating muscular and nervous spasms. Orange oil helps in detoxifying body and boosts immunity. Orange oil heals wounds and prevents any fungal or septic infection. It decreases hypertension and maintains blood circulation in body. Orange oil has anti-inflammatory, antiseptic, antidepressant, antispasmodic and diuretic properties. Insecticide - Orange oil works effectively in getting rid of household insects. 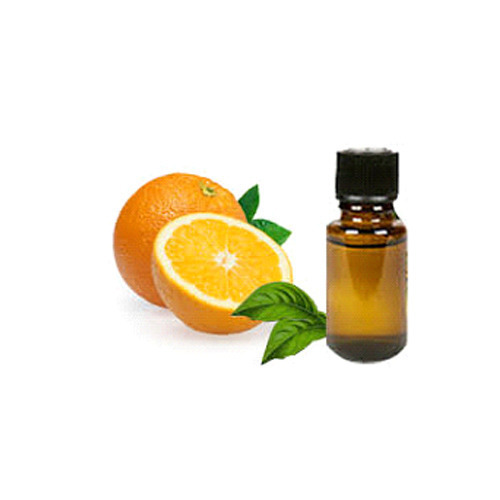 Suggested uses: Orange oil improves complexion, decreases wrinkles and maintains youthful appearance of skin. It is widely used for its flavour and fragrance. Cinnamon is a flavourful spice used in sweet and savoury food preparations. Cinnamon oil is extracted from cinnamon tree. Oil can be extracted from both distillation of tree bark or pressing of leaves. Oil Extracts from bark is more concentrated and generally preferred. 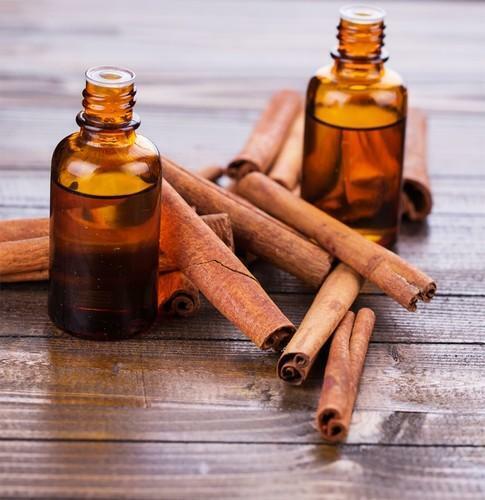 Antibacterial: Cinnamon essential oil is used get rid of airborne bacteria. It prevents many respiratory tract infections. Promotes blood circulation both internally and when applied topically. Maintains a healthy immune system. Anti-infection: It is very effective against urinary tract infection. Cinnamon oil is instant home remedy to ease aching tooth. It promotes oral health. Provides relief from sore muscles and joint pain. Digestive: It aids digestion and alleviates upset stomach and mild stomach ache. Suggested uses: It can be mixed with cinnamon sugar, orange juice, and olive oil to create a rejuvenating face scrub. It acts as effective mouthwash. It can be used as disinfectant and also as an insect repellent. About: Eucalyptus oil comes from distillation of dried eucalyptus leaves. 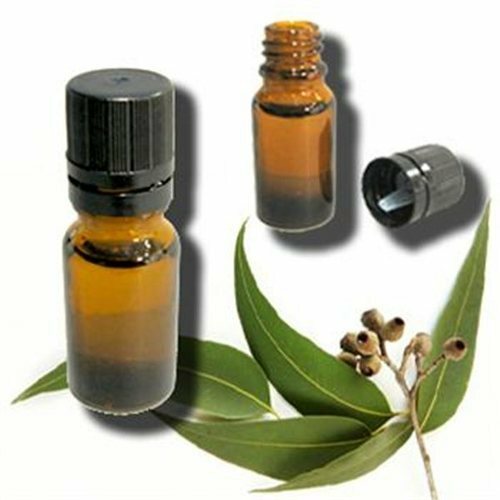 Eucalyptus plant has many species but Essential oil is mostly extracted from Eucalyptus globulus. Anti-septic: Eucalyptus essential oil has germicidal quality thus it can be used to prevent wounds from septic. Respiratory problems: Eucalyptus essential oil is effective in treating many respiratory problems including cold, cough, runny nose, sore throat, asthma, nasal congestion, bronchitis and sinusitis. It is used for healing mucus membranes and safely treating allergies. It works as an expectorant to loosen coughs, antiseptic and fever reducer. Eucalyptus oil is used as an insect repellent. Anti-microbial: Eucalyptus oil can be added in household cleaners for its antimicrobial properties. It works great as a stain remover too. About: Geranium oil is extracted through steam distillation of stems and leaves of the geranium plant. 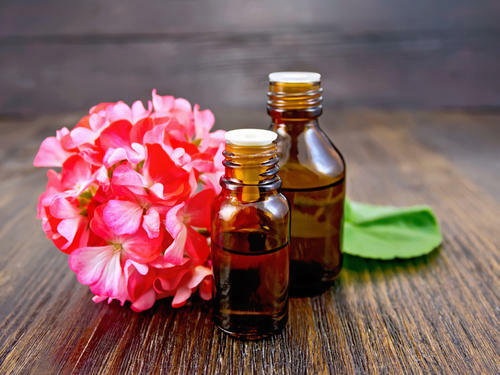 Geranium oil is often compared to the rose essential oil because they have similar therapeutic benefits. Skin problems - Germanium oils works great on range of skin problems. It can treat acne, eczema, congested skin or dermatitis. It has anti-septic properties can help in treating burns, frostbite, fungal infections and athlete's foot. Anti-depressant - Germanium oil can be moon uplifting and stimulating. It helps in relieving anxiety. Germanium oil speeds up healing of wounds. Germanium oil has beneficial effect on menstruation and menopause. Topical application of germanium can help heal insect bites and stop itching. 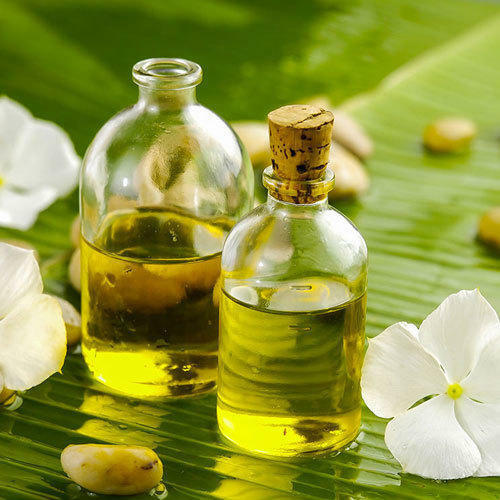 As massage oil it helps to relieve aching muscles and stress. Suggested uses: Geranium oil can be added to baked goods, frozen dairy, non-alcoholic and beverages and candies. It is used to create an artificial rose scent in fragrances and cosmetics. About: Lemongrass oil is extracted through steam distillation of dried lemongrass. Lemongrass is used in Asian food and beverage preparations due to its lemony flavor and aroma. 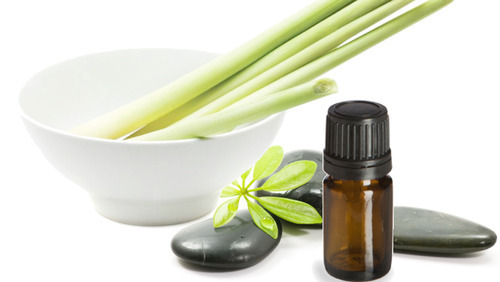 Pain relief: Lemongrass essential oil provides relief in muscle pain. When applied topically, it can help in body ache, period cramps, headache etc. Disinfectant: Lemongrass oil is naturally anti-fungal, antiseptic and anti-bacterial properties. Lemongrass oil provides relief in itchy and irritated scalp and reduces hair loss. Insecticide and bug repellent: It can be used to ward off insects, especially when outdoors. Suggested uses: It can also be used for flavoring tea and soups, and it adds fragrance to cosmetics, soaps and homemade deodorizers. About: Peppermint is a popular herb known for its fresh flavor. Peppermint oil is extracted through steam distillation of peppermint leaves. Peppermint oil is one of the most versatile oil. Color and aroma: Clear oil with fresh and sharp aroma. Muscle relaxant: Peppermint oil is very beneficial in post workout bath and massage as it relieves sore muscles. Respiratory problems: It provides relief in cough, asthma and bronchitis. Menthol present in this clears congestion and sinuses. It helps in nausea too. 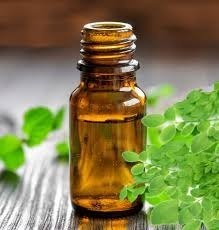 Stress relief: Peppermint oil helps in reducing stress and depression. It also helps in anxiety issues. It has refreshing aroma which is uplifting. Peppermint oil provides pain relief when applied topically. It improves blood circulation. Anti-microbial: It can help freshen bad breath and prevent skin from diseases. Hair: It has a cooling effect on hair and scalp. It soothes itchy and irritated scalp and helps in hair growth. 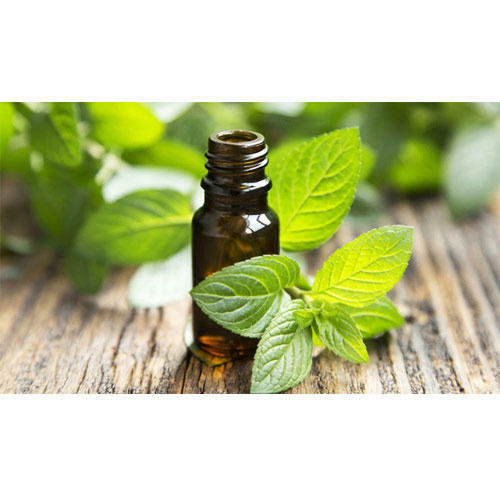 Peppermint oil in used in many fragrances and cosmetics. Suggested uses: Peppermint oil in used in fragrances and cosmetics industry. It is commonly used as flavouring in foods and beverages. 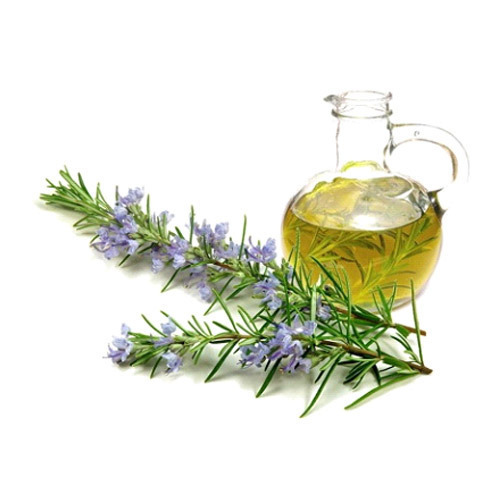 About: Rosemary oil is extracted from fresh flowering tops of Rosemary plant by steam distillation. Rosemary is a Mediterranean herm with wide culinary use. Rosemary oil works great on stimulating the brain and central nervous system. It clears the mind and improves alertness and focus. It improves memory and mental clarity. Rosemary oil helps in treating respiratory problems like asthma, bronchitis, whooping cough and congestion. Rosemary oil relaxes sore muscles. It relieves pain associated with rheumatism, arthritis and muscular pain. Suggested uses: Rosemary oil works great on hair related issues. It improves blood circulation in scalp and promotes hair growth. It can slow greying and remove dandruff. About: Ylang Ylang oil is extracted though steam distillation of Ylang Ylang tree flowers. It is widely used oil due to its relaxing and supporting properties and fragrance. Color and aroma: Clear oil with pleasing and delicate aroma. Ylang ylang oil has a relaxing and supporting aroma. It helps in maintaining spiritual balance and emotional equilibrium. 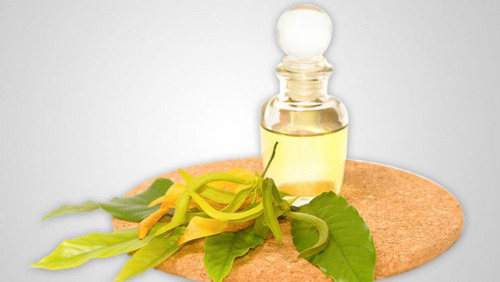 Ylang ylang oil helps in balancing hormonal, cardiovascular and endocrine systems. It also helps in regulating blood pressure. Ylang ylang oil uplifts mood while having a calming effect. It helps in treating Insomnia, fatigue and stress. Antidepressent - Ylang ylang oil provides relief in depression, nervous breakdown, anxiety, tension and sadness. It works as a sedative and brings a sense of calm. Skin care – It controls sebum production in skin and scalp which leads to healthy skin and hair. It provides relief from eczema. It helps in maintaining skin moisture and promoting hair growth. It is antimicrobial and it can reduce skin irritation and redness. Ylang ylang oils helps in healing and disinfecting cuts and wounds. Suggested uses: It is widely used in perfumes and aromatherapy. 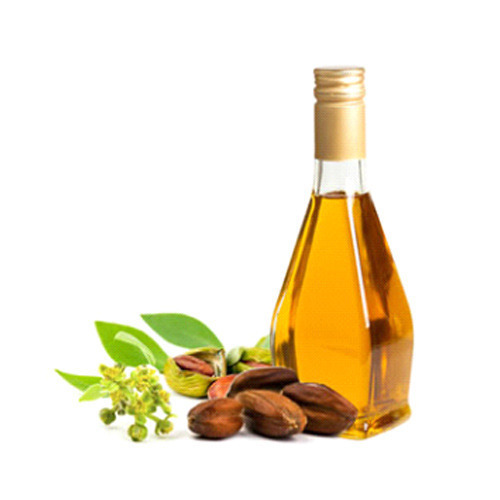 About: Jojoba oil is extremely beneficial for skin and hair. It soothes dry and itchy scalp, reduces hair fall, and makes hair soft, shiny and frizz free. It helps in dealing with sensitive skin. It heals rashes, scars and bruised skin. Jojoba oil is non-allergic, non-staining and non-comedogenic. Jojoba oil (technically it is wax ester) is extracted though cold pressing of seed. It penetrates skin easily and moisturizes well. Color and aroma: Golden color with mild aroma. Meditation blend: Our meditation blends have calming and balancing effect. Essential oils help in focus and stress relief. 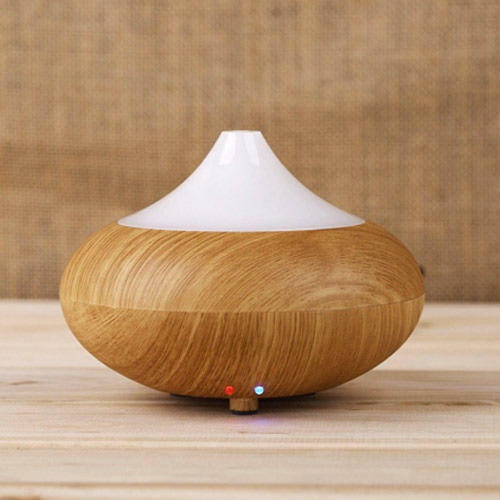 When used in diffusers, they give feeling of serenity and tranquility. Natural deos: Floral waters are available in plastic bottle with screw cap or spray in sizes 10 ml-250 ml. Body mists, room fresheners with spray cap in sizes 10ml-250ml. Plastic/glass/metal/polymer clay bottles can be customized according to customer preferences. 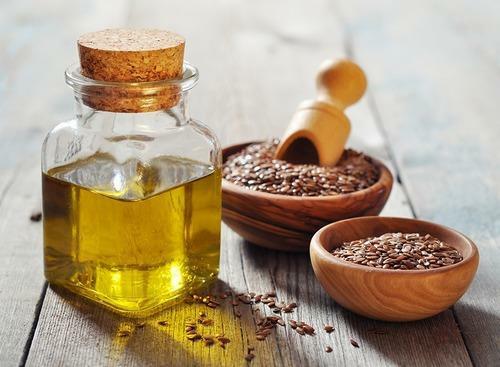 About: Flaxseed oil is incredibly nutritious oil extracted from Flaxseed. Flaxseed is one of the best natural source of Omega-3. Flaxseed oil can be taken orally or applied on skin and hair. Flaxseed oil is rich in omega 3 and omega 6, it helps in lowering cholesterol. Regular consumption of flaxseed ensures healthy heart and brain functioning. It helps in weight loss and boosts metabolism if taken orally. Flaxseed oil helps in fighting constipation and maintains proper bowel movement. It also helps in detoxification and waste removal from body. Suggested uses: It makes skin supple and reduces wrinkles. 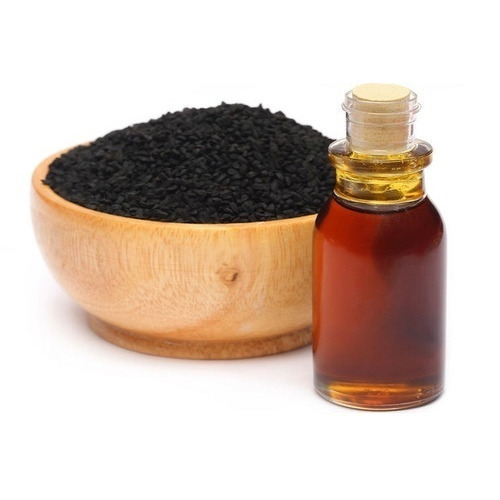 Flaxseed oil prevents hair loss and makes hair thick and shiny. It also helps in fighting eczema. About: It is extracted through cold press method. Pumpkin seed oil is a known and effective natural treatment for Hair loss (Alopecia). It works great for skin and hair nourishment. 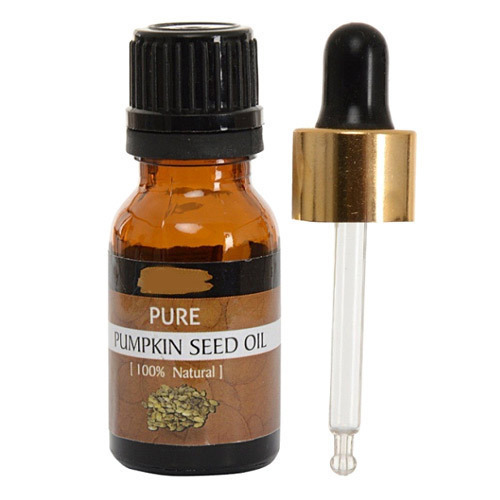 Pumpkin seed oil can be applied topically, ingested alone or added into blend of oils. Pumpkin seed oil is rich in Vitamin E and Zinc. It replenishes skin and hair moisture and provides nourishment. Pumpkin seed oil maintains prostate health and regulates hormones responsible for prostate disorders. Pumpkin seed oil helps in reducing bad cholesterol and helps in healthy functioning of heart. It is full of antioxidants and prevents skin from harmful free radicals. Pumpkin seed oil inhibits the activity of hormones responsible for hair loss. Continuous use makes hair stronger and less prone to breakage. Pumpkin seed oil is very effective against skin and hair aging. Suggested uses: Pumpkin oil heals wound faster and helps repair damaged skin. It removes acne, blemishes and keep skin soft, supple and free from wrinkles. Babchi oil can be topically applied (should be diluted with coconut oil if skin is sensitive) and then exposed to sunlight to reduce Vitiligo symptoms.It helps in Leukoderma.It heals wounds and removes white spots on skin.According to Ayurveda, Babchi oil helps in maintaining reproductive health.Suggested uses Babchi oil helps in maintaining skin tone. It improves skin texture and heals wounds faster.We offer different blends and mixtures according to customer requirements and specification. About: Moringa oil, also known as Ben oil is extracted from seeds of Moringa pods (Drumstick) by compression or solvent extraction method. It is very rich in vitamin great for topical use on the skin and the hair. Anti-aging: Moring oil has excellent anti-aging benefits. It helps skin maintain its elasticity and prevents sagging skin and wrinkles. It rejuvenates dull and tired skin. Anti-inflammatory: It heals skin in case of minor cuts and rashes. Moringa oil has great moisturizing ability. It heals and provides moisture to dry skin and scalp. IT can be used on chapped lips, cracked elbows and feet. Anti-marks: It prevents spots to appear and skin and diminishes earlier marks. Anti-rheumatic: Moringa oil provides relief applied to painful, arthritic joints. Sleep inducing: It is calming oil and helps in insomnia. Traditionally it was used to calm down hysteria and uncontrolled emotional instability. Suggested uses: Moringa oil is used in soap making because of its skin cleansing and moisturizing property. It is used as perfume base. Moringa oil is a preferred oil for lubricating small machine parts, like watches. Moringa seed oil is preferred as a salad oil in many places. We offer different blends and mixtures according to customer requirements and specification. About: Turmeric has traditionally been used as a spice and for its healing benefits. Oil is extracted through distillation of fresh or dried roots. Due to its golden hue and unique flavour, it has special place in culinary preparations. Color and aroma: Yellow or brown color with spicy, fresh and woody aroma. Anti-inflammatory - Turmeric oil helps in muscle and skin inflammations. It provides relief in muscle pain, joints pain and arthritis. Turmeric oil is anti-microbial and helpful in various skin problems like eczema, psoriasis etc. It helps in healing cuts, wounds, rashes and prevents them from getting infected. Detoxification - Turmeric oil helps body in getting rid of toxins. It is a natural healer and tonic. Turmeric oil works as a stress buster and helps in dealing with depression. Turmeric oil has excellent anti-septic and germ killing properties. Suggested uses: Turmeric oil encourages hair growth and prevents male pattern baldness. It also treats scalp in infections. Turmeric oil is utilized as spice in food industry. It’s also utilized in pharma industry.